10 Must Know Things When Planning a Wedding. Must know details when planning your big day. A guest Wedding Blogger shares her thoughts. Planning a wedding is a big event to take on. Even if you’re enlisting the help of wedding professionals, you’ll find you’ve got a lot of decisions to make. 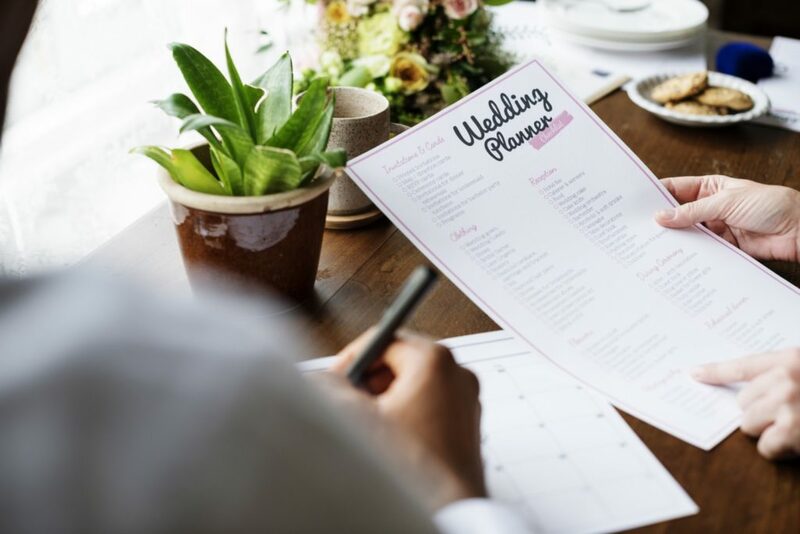 You may think that the big decisions will revolve around the details, like picking the perfect font for your invitation, booking the band, or puzzling over seating charts. But successful wedding planning revolves around bigger themes. As you and your spouse-to-be begin your collaboration, keep in mind these must-know themes. Keep them in mind and you’ll find that the process of planning your wedding will be one that you’ll look back on with real satisfaction. You don’t have to hire a planner, of course. But if you do, don’t make their job more difficult by locking in decisions like the choice of venue, the video editing company, florist, caterers, and other decisions. You may find that some of your ideas won’t work the way you’ve envisioned, and your planner will probably be able to make suggestions about vendors, like a video editing company. You want to make suggestions and pass along your ideas to your creative and vendors, but don’t micromanage them as they do their work. Whether it’s a creative video editing company, florist, caterer, or others, trust them to do the job you’ve hired them for. Once you’ve turned your planner and vendors loose to bring the plan together, don’t get caught up in the details. Issues will arise along the way, and they will be resolved. You don’t need to jump in and try to resolve them – that’s what you’re paying your professionals to do. Remember that your wedding isn’t the only one that most of your vendors are working on. Set your schedules and let your planner and the vendors and creative get to work. Whether it’s the video editing company, or other pros, they know the schedule and they’ll get the job done. Don’t get tunnel vision about what you want in your wedding. Even if one of you is taking on the bulk of the planning duties, remember that your ceremony needs to reflect both of you and your coming together to form a new family. Decide together what you want in your wedding and make it your own. Guess what? You may have a disagreement (or even a fight) with your partner along the way. Just remember, you’re different people with different approaches to problems, so these are bound to occur. Brush them off and move on – you’ll probably laugh about it later. Weddings are ceremonies steeped in tradition. But that doesn’t mean that they’re mandatory. It can be hard, but sometimes you may need to resist family pressure or peer pressure to skip aspects of the ceremony that aren’t relevant to you and incorporate new traditions that speak to your commitment and your sense of style, fun, and whimsy. Do what feels right to you, and enjoy the ride! You’ll have great memories of your wedding, but in these days of social media sharing, you’ll want to invest the money in a videographer and video editing company to create something memorable both for you and for your circle of friends and family. Wedding planners agree that the money spent on a video editing company is money well spent.